Mpow may not be a name brand, but nearly 12,000 users swear by the Flames headphones, and today, they're cheaper than ever. A reliable pair of wireless sport headphones can bring your playlist to your workout, but finding a reliable set at an affordable price can be tricky. 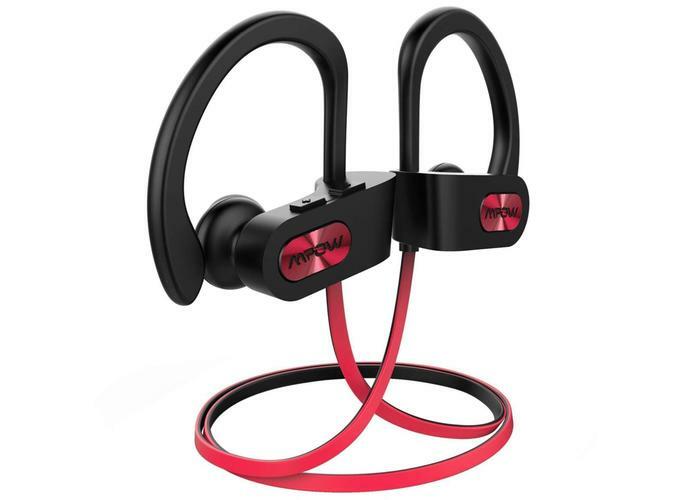 Today, though, Mpow’s ultra-popular Flame Bluetooth headphones are $17 on Amazon, which matches their lowest-ever price. These headphones are designed to stick with you in even the toughest workouts. Their adjustable earhooks wrap around your ear for a snug fit, while a waterproof coating protects them from sweat. Mpow says the battery should last for 7-9 hours s, so your tunes should last all day long, and definitely all workout long. If you do need a mid-day recharge, Mpow claims they’ll reach peak capacity again in just 1.5 hours. We haven’t tried these headphones ourselves, but they’re a massive hit on Amazon, averaging 4.2 stars out of 5 over nearly 12,000 (!!!) user reviews. Not bad for $17.